My computer mouse has been looking pretty sick recently. 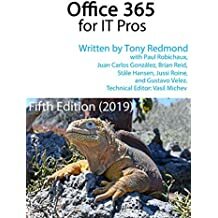 It has clearly suffered from the demands of writing – or more accurately, it’s picked up junk from enough hands and surfaces to become grotty. 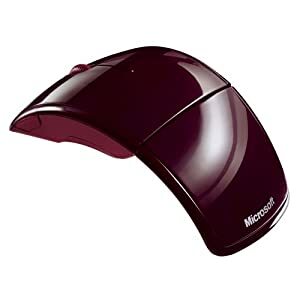 It was time for a change, so I bought a new wireless Microsoft Arc Mouse . I ended up with the red model, but there are lots of different colours available. Red seemed like a good idea (at the time). It’s not too garish so it will do. As you’d imagine, installation is a snap. The extremely small wireless transmitter fits into a USB port, you slip the two enclosed AAA batteries into the mouse, and Windows installs the necessary driver. You have the chance to tailor the responsiveness of the mouse to fit your individual working habits, if that’s what you’d like to do. Part of me wonders just how many people actually go through all the options offered to tailor mouse responsiveness – and how many actually succeed in altering the default options to improve matters. The important point is that you can mess around with the settings if this is important to you. The Arc is an extremely comfortable device to use when reading email, browsing, or navigating large documents. Its curved shape fits comfortably into my hand and its surface seems reasonably resistant to dirt. It is light, seems to be pretty durable (time will tell), and folds up and fits into a travel pouch for storage. The mouse is pleasant to the touch and easy to handle so it’s worth considering if you’re looking for a new mouse. Update (22 September 2011): I’ve been using the Arc Mouse for over a year now and its initial good impression has proven to be accurate in use. The mouse continues to deliver great service at home or on the road. I’ve even bought a second Arc Mouse that’s used by another member of the family who finds it equally appealing. So if you’re in the market for a new mouse, you could do worse than to look at this one! This entry was posted in Technology and tagged Arc Mouse, Arc Mouse review, Hardware, Microsoft Arc mouse, Mouse. Bookmark the permalink. I have the Wireless Notebook Presenter Mouse 8000 – a gift from a fellow referee. It is superb. Flick a switch, turn it over and you can use it to control media, power points, volume and it has a built in pointer.